Add pretty gift wrap and a bow to this pre-packaged item. Yankee Candle, Kohls, WalMart, etc. 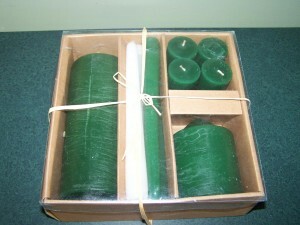 This entry was posted in Uncategorized and tagged gift, scented, store bought by Christine. Bookmark the permalink.